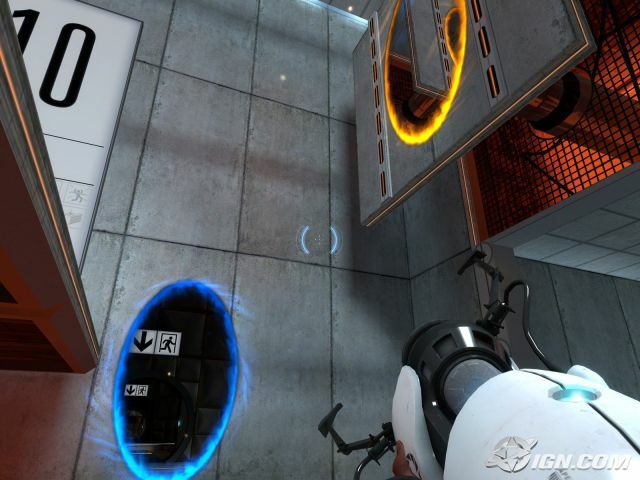 Portal was the award winning game of last year by Valve Studios. The same company makes the Half-Life series. 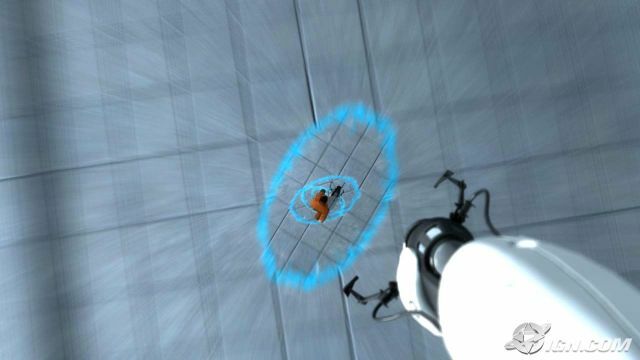 Set in the same universe, Portal is a unique take on not only the first person shooter, but also video games in general. The team created a game where you have to puzzle your way through several levels using a unique device called the portal gun. Instead of bullets it shoots portals, an orange and a blue one. They connect to each other; in effect changing the dynamics of how you can move around. It is one of the most innovative titles to come out in a very long time. This connects us to the debate of innovation in games. How should game designers innovate? What is the next evolutionary step? It was easy to see about 12 years ago. Simply move from 2d to 3d. Now it is not as simple. There is a lot of repetition in the game of recent years, with only incremental improvements at best. Several people have looked to Portal to lead the way into new design space to be explored. I think otherwise. Yes it was one of the most innovative games of the year, probably the decade, but for all its innovation it is a dead end. The ability to shuttle from one location to the other instantaneously like in the game is a feat of massive proportions technologically, but it opens a door into a very small room. Conceivably the portal concept would only work in an enclosed space. The coding would be near impossible to create in an open environment. For example, if the player were to shoot a portal under a tree, how would the environment react and what would happen when you moved the portal elsewhere. It is also a question of challenge, because you could skip an entire level by just portaling to the other side. Other problems pop up when you consider what would it be useful for? What would be the point in game? What type of game could make use of the idea? Only an action/adventure title could really use it for any real benefit. But with an idea as unique as the portal gun it would only end up hindering any attempts other than how it was used in Portal. It is a device to solve puzzles with. It has no other viable application. The portal itself has no alternative application, but the thinking behind it may lead to other areas of innovation. The developers played with the concept of space. Like how when consoles moved onto the N64 and Playstation they added a dimension, developers now can play with that dimension like they never had before. It may even be possible to add another dimension as a game mechanic. Prince of Persia did this sort of thing with its rewind mechanic, but it may be possible to take it a step further. Innovation is about taking the old idea a step further. Games have so many concepts put together that finding the next thing is really about finding the right combination of changes.